Seriously, I love Maangchi’s videos of how to make Korean food. You see everything from start to finish and she makes it seem so easy to recreate her dishes. And they are! If it’s not already apparent by my posts, I LOVE noodles. 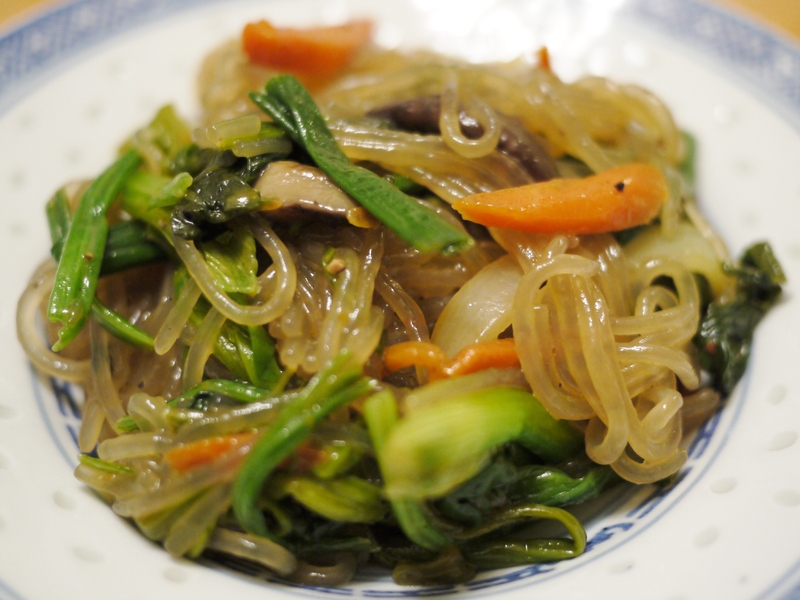 Japchae, which is made from sweet potato starch, definitely falls under the category of noodles I like. Plus, I feel slightly healthier when I eat noodles that are clearer versus noodles made with eggs. Thanks for another great recipe, Maangchi!